Undenatured whey protein research summary is a quick reference guide to all up-to-date scientific research done with this dietary supplement since the early 1980s, when the pioneer of undenatured whey research, Dr. Gustavo Bounous of McGill University, started investigating the properties of whey powder mailed to him by a European cheese-maker. Most abstracts of later research (late 1980s and on) refer specifically to Immunocal® since this brand of undenatured whey protein is the only one that has been researched. Most recent research is posted at the bottom of the page. Bounous G., Stevenson M.M., Kongshavn P.A. In the present study we investigated the effect of four weeks of treatment with a diet containing lactalbumin hydrolysate (LAH: Nestlé, Vevey, Switzerland) on the immune response of C3H/HeN mice. Our data indicate that it was possible to increase the level of this type of protein in the diet above the minimum requirement (12% LAH) and thus produce augmented humoral immune responsiveness and resistance to salmonellosis. The effect of graded amounts of dietary lactalbumin (L) and casein (C) hydrolyzates on the immune responsiveness of C3H/HeN and DBA/2 strain mice has been investigated by measuring both the specific humoral immune response to sheep red blood cells (SRBC) and the nonspecific splenic cell responsiveness to phytohemagglutinin, concanavalin A and Escherichia coli lipopolysaccharide after stimulation with Mycobacteriurn bovis, strain BCG. The nutritional efficiency of these diets was similar at both 12 and 28% amino acid levels. The immune responses of mice fed the L diets were found to be significantly greater than those of mice fed the corresponding C diets, especially at the 28% level. Furthermore in the mice fed L diet, increasing the concentration of amino acid in the diet from 12 to 28% greatly enhanced immune responsiveness by both parameters measured. In the C-fed mice, a comparable enhancement of mitogen responsiveness with increasing amino acid level of diet was seen, but there was no change in the humoral immune response. The enhancement of immune responsiveness observed in mice fed the 28% L diet was moderately reduced by the addition of phenylalanine to the diet, indicating that the lower level of this amino acid in the L protein may be of some significance. These dietary effects on immune responsiveness were remarkably similar in both mousestrains tested. Bounous G., Letourneau L., Kongshavn P.A. The effect of graded amounts of dietary lactalbumin (L), casein (C), soy (S), wheat (W) protein and Purina rodent chow (stock diet) on the immune responsiveness of C3H/HeN mice has been investigated by measuring the specific humoral immune response to sheep red blood cells (SRBC), and horse red blood cells (HRBC) as well as the nonspecific splenic cell responsiveness to phyto-hemagglutinin (PHA) and concanavalin A (Con A) after stimulation with Myco-bacterium bovis, strain BCG. The nutritional efficiency of these diets was normal and similar. The immune response of mice fed the L diets, was found to be almost five times higher than that of mice fed the corresponding C diets. The humoral immune response of mice fed C, S, and W diets was substantially lower than that of mice fed stock diet, whereas that of mice fed L diet was higher. The above-described immune effect of all tested proteins was obtained at 20 g/100 g concentration with no further increments with 30- and 40 g/100 g protein in the diet. Mitogen responsiveness to PHA and Con A in L diet-fed mice was only slightly higher than that of C diet-fed mice. Little difference in immune responses was noted among mice fed C, S or W protein diets. The principal factor responsible for the observed immune effect does not appear to be the availability or concentration of single essential amino acids but rather the composite effect of the specific amino acid distribution in the protein. The effect of 20 g/100 g diet of lactalbumin (L), casein (C), soy (S) and wheat (W) protein on the immune responsiveness of C3H/HeN mice has been investigated by measuring the humoral immune response to the T cell-independent antigen, TNP-Ficoll. The humoral immune response of mice fed the L diet was found to be higher than that of mice fed the C, S and W diets. On the other hand, delayed-type hypersensitivity, and splenic cell mitogen responses to phytohemagglutinin and concanavalin A did not differ among mice fed the various diets. Similarly, the type of diet did not appear to influence host resistance to Salmonella typhymurium. It is postulated that the type of protein in the diet influences directly the intrinsic capacity of the B lymphocytes to respond to an immunogenic stimulus. Bounous G., Shenouda N., Kongshavn P.A., Osmond D.G. The effect of 20 g/100 g dietary lactalbumin (L) or casein (C) diets or a nonpurified (NP) diet on the immune responsiveness of C57B1/6J, C3H/HeJ and BALB/cJ mice has been investigated by measuring the response to the T cell-independent antigen, TNP-Ficoll. To investigate the possible influence of dietary protein type on the supply of B lymphocytes, bone marrow lymphocyte production has been examined by a radioautographic assay of small lymphocyte renewal and an immuno-fluorescent stathmokinetic assay of pre-B cells and their proliferation. The humoral response of all mice fed the L diet was found to be higher than that of mice fed the C diet or non purified diet. A similar pattern of dietary protein effect in (CBA/N x DBA/2J) F1 mice carrying the xid defect was observed following challenge with sheep red blood cells (SRBC). An even greater enhancing effect of dietary L was noted in normal (DBA/2J x CBA/N) F1 mice after immunization with SRBC, but in contrast, the normal large-scale production of B lymphocytes in mouse bone marrow was independent of the type of dietary protein. Dietary protein type did not affect blood level of minerals and trace metals. The free plasma amino acid profile essentially conformed to the amino acid composition of the ingested protein, suggesting that the changes in plasma amino acid profile might be a crucial factor in diet-dependent enhancement or depression of the B-cell response. The findings indicate that the observed effects of altered dietary protein type on humoral immune responsiveness are not exerted centrally on the rate of primary B-lymphocyte production in the bone marrow, but may reflect changes either in the functional responsiveness of the B lymphocytes themselves or in the processes leading to their activation and differentiation in the peripheral lymphoid tissues. Bounous G., Kongshavn P.A., Gold P.
The plaque-forming cell response to sheep red blood cells was found to be enhanced in mice fed a formula diet containing 20 g lactalbumin /100 g diet in comparison to mice fed equivalent formula diets of similar nutritional efficiency containing 20 g / 100 g diet of either casein, soy, wheat or corn protein, egg albumin, beef or fish protein, Spirulina maxima, or Scenedesmus protein, or Purina mouse chow. This effect was manifest after 2 weeks and persisted for at least 8 weeks of dietary treatment. Mixing lactalbumin with either casein or soy protein in a 20 g protein / 100 g diet formula significantly enhanced the immune response in comparison to that of mice fed diets containing 20% soy protein or casein. Bounous G., Papenburg R., Kongshavn P.A., Gold P., Fleiszer D.
This study investigates the influence of two formula diets containing 20 g/100 g diet of either whey protein concentrate or casein or Purina mouse chow, on the humoral immune responsiveness and dimethylhydrazine induced colon carcinogenesis in A/J mice. After 20 weeks of dimethylhydrazine treatment, the number of plaque forming cells per spleen, following intravenous inoculation with 5 x 106 sheep red blood cells, was nearly three times greater in the whey protein-fed group than in the casein-fed mice although both values were substantially below normal. After 24 weeks of dimethylhydrazine treatment the incidence of tumors in the whey protein-fed mice was substantially lower than that in mice fed either the casein or Purina diet. Similarly, the tumor area was less in the whey protein group in comparison to either the casein or Purina groups, with some difference between casein and Purina groups. Body weight curves were similar in all dietary groups. In conclusion, a whey protein diet appears to significantly inhibit the incidence and growth of chemically induced colon tumors in mice. Bounous G., Gervais F., Amer V., Batist G., Gold P.
This study compared the effects of a whey-rich diet (20 g / 100 g diet), with that of Purina mouse chow or casein-rich diet (20 g / 100 g diet), on the liver and heart glutathione content and on the survival of old male C57BL / 6 NIA mice. The study was performed during a limited observation period of 6.3 months. In mice fed the whey protein-rich diet between 17 months and 20 months of age, the heart tissue and liver tissue glutathione content were enhanced above the corresponding values of the casein diet-fed and Purina-fed mice. Mice fed the whey protein diet at the onset of senescence, exhibited increased longevity as compared to mice fed Purina mouse chow over the 6.3 month observation period extending from the age of 21 months (corresponding to a human age of 55 years) to 26-27 months of age (corresponding to a human age of 80 years), during which time 55% mortality was observed. The corresponding mean survival time of mice fed the defined casein diet is almost identical to that of Purina-fed controls. Body weight curves were similar in all three dietary groups. Hence, a whey protein diet appears to enhance the liver and heart glutathione concentration in aging mice and to increase longevity over a 6.3 month observation period. Bounous G., Batist G., Gold P.
The spleen cells immune response to sheep red blood cells of C3H/HeJ mice fed a 20 g whey protein/100 g diet is substantially higher than that of mice fed an equivalent casein diet of similar nutritional efficiency. The present study indicates that the observed immunoenhancing effect of the whey protein mixture is dependent on the overall amino acid pattern resulting from the contribution of all its protein components. Whey protein contains substantially more cysteine than casein. Dietary cysteine is considered to be a rate limiting substrate for the synthesis of glutathione which is necessary for lymphocyte proliferation. Our studies show that enhancement of host humoral immune response is associated with greater and more sustained production of splenic glutathione during the antigen driven clonal expansion of the lymphocyte in whey protein fed mice in comparison to mice fed the equivalent casein or the cysteine-enriched casein diet. Hence the efficiency of dietary cysteine in inducing supernormal glutathione levels is greater when it is delivered in the whey protein than as free cysteine. Administration of S-(n-butyl) homocysteine sulfoximine, which reduces splenic glutathione level by half, produces a 4-5 fold drop in the humoral immune response of whey protein diet-fed mice. This is further evidence of the important role of glutathione in the immunoenhancing effect of dietary whey protein. Costantino A.M., Balzola F., Bounous G.
A whey protein diet has been shown to enhance splenic immune response to sheep red blood cells (SBRC) in mice. This study was designed to investigate the influence of the type of dietary protein on the biliary secretory IgA. A/J mice were fed defined formula diets containing either 20% whey protein, or 20% casein. Another group was fed Purina mouse chow. After 3 weeks of dietary treatment the body weight of each mouse was recorded and the gall-bladder was removed and its whole content analyzed by ELISA to determine S-IgA secretion. Body weight curves were similar in all dietary groups; higher biliary levels of S-IgA appeared in the whey protein fed mice than in the casein (p less than 0.025) or purine (p less than 0.025) fed mice. Dietary protein type may have a direct influence on the immune response in the gastrointestinal tract, without affecting body weight. Papenburg R., Bounous G., Fleiszer D., Gold P.
This study investigated the influence of two formula diets containing 20 g/100 g diet of either whey protein concentrate or casein, or Purina mouse chow on 1,2dimethylhydrazine (DMH)-induced colon carcinoma in A/J mice. Four weeks after the 24th DMH treatment the incidence of tumour and tumour area in the whey protein-fed mice was substantially less in comparison to either the casein or Purina groups. The Purina group exhibited the greatest tumour burden. At the end of the experiment all animals continuously fed the whey protein diet were found to be alive, whereas 33% of those on the casein or Purina diet had died. Animals fed Purina diet for 20 weeks and then switched to either milk protein diet for a further 8 weeks exhibited a decrease in tumour burden as compared to those animals fed the Purina diet continuously. Body weights were similar in all dietary groups. In conclusion, a whey protein diet appears to significantly influence the development of chemically induced colon tumours and the short-term survival of mice. Epidemiological and experimental studies suggest that dietary milk products may exert an inhibitory effect on the development of several types of tumors. Some recent experiments in rodents indicate that the antitumor activity of the dairy products is in the protein fraction and more specifically in the whey protein component of milk. We and others have demonstrated that whey protein diets result in increased glutathione (GSH) concentration in a number of tissues, and that some of the beneficial effects of whey protein intake are abrogated by inhibition of GSH synthesis. Whey protein is particularly rich in substrates for GSH synthesis. We suggest that whey protein may be exerting its effect on carcinogenesis by enhancing GSH concentration. This study compared the effects of different sources of whey protein concentrate (20 g/100 g diet) and of casein on the spleen, liver, and heart glutathione content of C3H/HeJ mice, and on the immune response of their spleen cells to sheep red blood cells. Body weight curves were similar in all dietary groups. Our data indicate that the humoral immune response is highest in mice fed a dietary whey protein concentrate exhibiting the highest solubility (undenatured conformation) and a greater relative concentration of the thermolabile cystine rich proteins. In addition, the mice fed this type of whey protein concentrate exhibit higher levels of tissue glutathione. The presence in the serum albumin fraction of glutamylcysteine groups (rare in food protein) and the specific intramolecular bond as related to the undenatured conformation of the molecule are considered to be key factors in the glutathione-promoting activity of the protein mixture. Bounous G., Baruchel S., Falutz J., Gold P.
On the basis of numerous animal experiments, a pilot study was undertaken to evaluate the effect of undenatured, biologically active, dietary whey protein in 3 HIV-seropositive individuals over a period of 3 months. Whey protein concentrate was prepared so that the most thermosensitive proteins, such as serum albumin which contains 6 glutamylcysteine groups, would be in undenatured form. Whey protein powder dissolved in a drink of the patient’s choice was drunk cold in quantities that were increased progressively from 8.4 to 39.2 g per day. Patients took whey proteins without adverse side effects. In the 3 patients whose body weight had been stable in the preceding 2 months, weight gain increased progressively between 2 and 7 kg, with 2 of the patients reaching ideal body weight. Serum proteins, including albumin, remained unchanged and within normal range, indicating that protein replenishment per se was not likely the cause of increased body weight. The glutathione content of the blood mononuclear cells was, as expected, below normal values in all patients at the beginning of the study. Over the 3-month period, GSH levels increased and in one case rose by 70% to reach normal value. The increase in body weight observed in these patients did not correlate with increase in energy or protein intake. In conclusion, these preliminary data indicate that, in patients who maintain an adequate total caloric intake, the addition of “bioactive” whey protein concentrate as a significant portion of total protein intake increases body weight and shows elevation of glutathione (GSH) content of mononuclear cells toward normal levels. This pilot study will serve as a basis for a much larger clinical trial. Baruchel S, Olivier R, Wainberg M.
PRESENTED AT THE INTERNATIONAL CONFERENCE ON AIDS; INT. CONF. AIDS AUG. 7-12, 1994 (Abstract no. 421A). Objectives: The in vivo glutathione (GSH) promoting activity of undenatured Whey protein concentrate (WPC) has already been demonstrated. Here we demonstrate the anti HIV and anti-apoptotic activity of a WPC product termed Immunocal and its relation with GSH synthesis. Methods: Immunocal is produced in linear fashion in order to maintain proteins in a non denatured form and to preserve their glutamyl cysteine residues. We tested the in vitro anti-HIV activity on cord blood mononuclear cells and MT 4 cells by studying each of reverse transcriptase (RT) activity, p24 antigen production, and syncytium formation. GSH was measured by spectrophotometric recycling assay. Apoptosis was evaluated by flow cytometry on PBMC from HIV infected individuals (cells were stained with acridine orange and ethidium bromide) (n = 6). Results: An anti HIV activity was found at WPC concentrations between 100 micrograms/ml and 500 micrograms/ml. Inhibition of syncytium formation occurred with a IC50 of 150 micrograms/ml. PBMCs cultured with these WPC concentrations (N = 3) had a statistically significant increase in GSH synthesis when compared to untreated cells, 9.6 +/- 1.5 vs 5.4 +/- nmoles/10(7) cells, p = 0.01. HIV infected PBMCs cultured in the presence of 100 micrograms/ml of WPC were less prone to die of apoptosis than untreated cells, 15% +/- 2.6 vs 37% +/- 2.4 p <0.001. Conclusion: IMMUNOCAL (WPC) possesses antiviral and anti-apoptotic activities which may be related to its glutathione promoting activity. A clinical trial is currently going on with children with AIDS and wasting syndrome. Baruchel S., Bounous G., Gold P.
Oxidative stress, a known activator of HIV replication in vitro, has a potential role as a cofactor of HIV disease progression. Arguments supporting the role of oxidative stress as a cofactor in HIV activation are summarized in this review. The role of intracellular antioxidants such as glutathione (GSH), and drugs and nutriceutical agents promoting GSH synthesis, are discussed. The review also includes the early results of nutritional interventions based on a diet enriched with Immunocal, a whey protein concentrate prepared in a proprietary manner. Kennedy R.S., Konok G.P., Bounous G., Baruchel S., Lee T.D. Glutathione (GSH) concentration is high in most tumor cells and this may be an important factor in resistance to chemotherapy. Previous in-vitro and animal experiments have shown a differential response of tumor versus normal cells to various cysteine delivery systems. More specifically, an in-vitro assay showed that at concentrations that induce GSH synthesis in normal human cells, a specially prepared whey protein concentrate, Immunocal, caused GSH depletion and inhibition of proliferation in human breast cancer cells. On the basis of this information five patients with metastatic carcinoma of the breast, one of the pancreas and one of the liver were fed 30 grams of this whey protein concentrate daily for six months. In six patients the blood lymphocyte GSH levels were substantially above normal at the outset, reflecting high tumor GSH levels. Two patients (#1, #3) exhibited signs of tumor regression, normalization of haemoglobin and peripheral lymphocyte counts and a sustained drop of lymphocyte GSH levels towards normal. Two patients (#2, #7) showed stabilization of the tumor, increased haemoglobin levels. In three patients (#4, #5, #6) the disease progressed with a trend toward higher lymphocyte GSH levels. These results indicate that whey protein concentrate might deplete tumor cells of GSH and render than more vulnerable to chemotherapy. We report the in vitro selective inhibitory activity of a humanized whey protein concentrate Immunocal on growth of mammary carcinoma cells and Jurkat T cells in comparison to normal peripheral blood mononuclear cells. We related this inhibitory activity to a selective depletion of intracellular glutathione synthesis. The use of humanized whey protein concentrate as a food supplementation may have direct implication in clinical trials with adjuvant chemotherapy. Glutathione (GSH) accounts for more than 90% of total intracellular non-protein sulfhydryl and is critical in a variety of cellular defense functions including protection from toxic oxygen species and detoxification of various xenobiotics. Tumor cell GSH concentration may be among the determinant of the cytotoxicity of many chemotherapeutic agents and of radiation, and an increase in GSH concentration appears to be at least one of the mechanisms of acquired drug resistance to chemotherapy. Therapeutic elevation of normal cell GSH levels has also been investigated as a means to reduce the toxicity associated with a wide variety of compounds of both endogenous and exogenous origin. GSH may be increased by different methods including delivery of L-Cystine, a rare limiting amino acid in GSH synthesis. This is difficult since cysteine is toxic, it is not transported efficiently into cells, and is oxidized spontaneously at neutral pH. Attempts to cancer treatment based on modulation of GSH concentration in tumor cells must take into consideration the glutathione status and the rate of GSH synthesis in these cells. It is well known that rapid GSH synthesis in tumor cells is associated with high rates of cellular proliferation. Depletion of tumor GSH in vivo decreases the rate of cellular proliferation and inhibits cancer growth. In practice it is difficult to reduce GSH sufficiently in a tumor in vivo without placing the normal tissue at risk. Numerous studies have demonstrated that GSH can be differently manipulated in normal versus tumor cell line. Dependent upon the method of GSH manipulation protection could be demonstrated in normal but not in tumor cell line. In this report we demonstrate that it is possible to selectively modulate in vivo GSH synthesis in normal cells compared to cancer cells with a humanized Whey Protein Concentrate (HWPC) and that this selective GSH modulation has an impact on cells proliferation. Watanabe A., Higuchi K., Okada K., Shimizu Y., Kondo Y., Kohri H.
In an open study, the clinical efficacy of whey protein (Immunocal: cysteine content; 7.6-fold that of casein) isolated from fresh milk and purified without being heated was evaluated based on liver function test, immunological parameters, plasma or lymphocyte GSH concentrations and hepatitis virus markers in 25 patients with chronic hepatitis B or C. Immunocal (12 g as protein) food (mousse) was given twice a day, in the morning and evening, for 12 weeks (test period). Casein (12 g as protein) food (mousse) was given for 2 weeks prior to the start of -supplement with Immunocal food (induction period) and for 4 weeks after the end (follow-up period). The effects of Immunocal food on various clinical parameters were examined at 4-week intervals for 18 weeks to evaluate the efficacy of Immunocal. As a result, serum ALT activity decreased in 6 of 8 patients with chronic hepatitis B 12 weeks after the start of supplement with Immunocal food. Plasma GSH concentrations were increased in 5 of the 8 patients. Serum . concentrations of lipid peroxides significantly decreased 8 weeks after Immunocal food. Serum IL-2 levels began to increase 8 weeks and remained high even after supplement with Immunocal -food had ended. Furthermore, NK activity was significantly increased. However, an item correlating with reduced serum ALT activity could not be clarified. In 17 patients with chronic hepatitis C, there wore no significant Immunocal-related changes in liver function test or immunological parameters. These findings suggest that long-term supplement with Immunocal alone may be effective for patients with chronic hepatitis B, and a further clinical study that long-term combination therapy with Immunocal and other agents including interferon may be effective for those with chronic hepatitis C should be performed. The chronic fatigue syndrome (CFS) is typically associated or follows a recognized or presumed infection. Abnormalities of both humoral and cellular immunity have been demonstrated in a substantial proportion of patients with CFS. The most consistent findings are of impaired lymphocyte responses to mitogen. As an antioxidant, glutathione (GSH) is essential for allowing the lymphocyte to express its full potential without being hampered by oxiradical accumulation. Hence, protracted challenge of the immunocytes may lead to cellular GSH depletion. Because GSH is also essential to aerobic muscular contraction, an undesirable competition for GSH precursors between the immune and muscular systems may develop. It is conceivable that the priority of the immune system for the survival of the host has drawn to this vital area the ever-diminishing GSH precursors, thus depriving the skeletal muscle of adequate GSH precursors to sustain a normal aerobic metabolism resulting in fatigue and eventually myalgia. Lands L.C., Grey V.L., Smountas A.A.
Oxidative stress contributes to muscular fatigue. GSH is the major intracellular antioxidant, the biosynthesis of which is dependent on cysteine availability. We hypothesized that supplementation with a whey-based cysteine donor [Immunocal] designed to augment intracellular GSH would enhance performance. Twenty healthy young adults (10 men, 10 women) were studied presupplementation and 3 mo postsupplementation with either Immunocal (20 g/day) or casein placebo. Muscular performance was assessed by whole leg isokinetic cycle testing, measuring peak power and 30-s work capacity. Lymphocyte GSH was used as a marker of tissue GSH. There were no baseline differences (age, ht, wt, %ideal wt, peak power, 30-s work capacity). Follow-up data on 18 subjects (9 Immunocal, 9 placebo) were analyzed. Both peak power [13 +/- 3.5 (SE) %, P < 0.02] and 30-s work capacity (13 +/- 3.7%, P < 0.03) increased significantly in the Immunocal group, with no change (2 +/- 9.0 and 1 +/- 9.3%) in the placebo group. Lymphocyte GSH also increased significantly in the Immunocal group (35.5 +/- 11.04%, P < 0.02), with no change in the placebo group (-0.9 +/- 9.6%). This is the first study to demonstrate that prolonged supplementation with a product designed to augment antioxidant defenses resulted in improved volitional performance. The glutathione (GSH) antioxidant system is foremost among the cellular protective mechanisms. Depletion of this small molecule is a common consequence of increased formation of reactive oxygen species during increased cellular activities. This phenomenon can occur in the lymphocytes during the development of the immune response and in the muscular cells during strenuous exercise. It is not surprising that so much research has been done, and is still being done on this small tripeptide molecule. Whey protein concentrate has been shown to represent an effective and safe cysteine donor for GSH replenishment during GSH depletion in immune deficiency states. Cysteine is the crucial limiting amino acid for intracellular GSH synthesis. Animal experiments showed that the concentrates of whey proteins also exhibit anti-carcinogenesis and anticancer activity. They do this via their effect on increasing GSH concentration in relevant tissues, and may have anti-tumor effect on low volume of tumor via stimulation of immunity through the GSH pathway. It is considered that oxygen radical generation is frequently a critical step in carcinogenesis, hence the effect of GSH on free radicals as well as carcinogen detoxification, could be important in inhibiting carcinogenesis induced by a number of different mechanisms. Case reports are presented which strongly suggest an anti-tumor effect of a whey protein dietary supplement in some urogenital cancers. This non toxic dietary intervention, which is not based on the principles of current cancer chemotherapy, will hopefully attract the attention of laboratory and clinical oncologists. Lothian B., Grey V, Kimoff R.J., Lands L.C. Oxidant/antioxidant imbalance can occur in obstructive airways disease as a result of ongoing inflammation. Glutathione (GSH) plays a major role in pulmonary antioxidant protection. As an alternative or complement to anti-inflammatory therapy, augmenting antioxidant protection could diminish the effects of inflammation. We describe a case of a patient who had obstructive lung disease responsive to corticosteroids, and low whole blood GSH levels. After 1 month of supplementation with a whey-based oral supplement designed to provide GSH precursors, whole blood GSH levels and pulmonary function increased significantly and dramatically. The potential for such supplementation in pulmonary inflammatory conditions deserves further study. 24. Enhancing Effect Of Patented Whey Protein Isolate (Immunocal) On The Cytotoxicity Of Anti-Cancer Drug. Tsai W.Y., Chang W.H., Chen C.H., Lu F.
To determine the enhancing effect of a whey protein isolate on the cytotoxicity of a potential anti-cancer drug. baicalein, human hepatoma cell line HepG2 was assigned to grow in different media for four days, followed by the investigation of cell growth and apoptosis. Excluding the control group with normal medium, other three treatment media included whey protein isolate (marketed as Immunocal) medium, baicalein medium, and combined medium containing both Irnmunocal and baicalein. MTT assay indicated that cells grew in combined medium had a significantly lower survival rate compared to the cells grew in baicalein medium; in contrast, for the cells grew in Immunocal group, there was no significant difference on survival rate. In the investigation of apoptosis. compared to the cells in baicalein medium, cells in combined medium showed a higher phosphatidylserine exposure, lower rnitochondrial transmembrane potential and nearly 13 times more cells were detected undergoing apoptosis. We also demonstrated that Immunocal was able to reduce glutathione in HepG2 by 20% to 40% and regulated the elevation of glutathione, which was in response to baicalein. In conclusion, Immunocal seemed to enhance the cytotoxicity of baicalein by inducing more apoptosis, this increase in apoptotic cells may be in association with the depletion of GSH in HepG2. This is the first study to demonstrate, in vitro, that Immunocal may function as an adjuvant in cancer treatments. The biological activity of the proteins isolated from cow’s milk in Immunocal depends on the preservation of those labile proteins which share with the predominant human milk proteins the same extremely rare glutathione (GSH)-promoting components. Cellular GSH depletion has been implicated in the pathogenesis of a number of degenerative conditions and disease states including Parkinson’s, Alzheimer’s, arteriosclerosis, cataracts, cystic fibrosis, malnutrition, aging, AIDS, and cancer. This newly discovered nutriceutical modulation of GSH by the use of humanized native milk serum protein isolate of bovine origin in AIDS and cancer may well find other applications in disease where oxidative stress and pathology of GSH metabolism are largely implicated. In a pilot study, this type of whey protein concentrate was found to be well tolerated in children with AIDS and wasting syndrome and was found associated with an improvement of the nutritional status of the patient. Moreover, the GSH promoting activity on the peripheral blood lymphocyte of this protein concentrate was validated in patients with initial low GSH levels. Extensive pharmaco-epidemiological study of GSH metabolism and standardized methods of measurement of intracellular GSH applicable in clinical trials are needed in order to better define the clinical application of this new type of therapy. The glutathione (GSH) antioxidant system is the principal protective mechanism of the cell and is a crucial factor in the development of the immune response by the immune cells. Experimental data demonstrate that a cysteine-rich whey protein concentrate represents an effective cysteine delivery system for GSH replenishment during the immune response. Animal experiments showed that the concentrates of whey protein also exhibit anticancer activity. They do this via the GSH pathway, the induction of p53 protein in transformed cells and inhibition of neoangiogenesis. Background: Chronic iron overload is a major cause of organ failure worldwide, but its pathogenesis remains to be elucidated. Objectives: To examine in an experimental murine model of iron-overload cardiomyopathy the relation between milk whey protein and, first, the production of reactive oxygen free radical species and, second, antioxidant reserve status. METHODS: B6D2F1 mice were randomly assigned to four treatment groups (n=8 per treatment group): placebo control; iron only; whey only; and iron with whey. Reactive oxygen free radical species in the heart were quantified by the cytotoxic aldehydes malondialdehyde (MDA), 4-hydroxy-nonenal (HNE) and hexanal, while antioxidant reserve status was quantified by glutathione (GSH) and glutathione peroxidase (GPx) activity in the heart tissue. Results: Significantly decreased concentrations (pmol/100 mg wet weight tissue) of MDA (2468+/-261), HNE (912+/-38) and hexanal (5385+/-927) were observed in the heart tissue of the group receiving iron with whey, in comparison with the iron-only treatment group (MDA 9307+/-387, HNE 1416+/-157, hexanal 14,874+/-2955; P<0.001). Significantly increased GPx (141+/-38 IU/L) and GSH (521+/-136 IU/L) activity were observed in mice receiving iron with whey, in comparison with mice receiving iron only (GPx 100+/-10 IU/L, GSH 446+/-33 IU/L; P<0.001). Conclusion: Mice receiving iron treatments with whey supplementation had significantly lower concentrations of cytotoxic aldehydes and significantly higher cardiac levels of GPx and GSH activity than did iron-only treated mice. Additional basic research is warranted to examine the exact mechanisms by which milk whey protein protects the heart. Grey V, Mohammed SR, Smoutas AA, Bahlool R, Lands LC. Background: The lung disease of cystic fibrosis is associated with a chronic inflammatory reaction and an over abundance of oxidants relative to antioxidants. Glutathione functions as a major frontline defense against the build-up of oxidants in the lung. This increased demand for glutathione (GSH) in cystic fibrosis may be limiting if nutritional status is compromised. We sought to increase glutathione levels in stable patients with cystic fibrosis by supplementation with a whey-based protein. Methods: Twenty-one patients who were in stable condition were randomly assigned to take a whey protein isolate (Immunocal, 10 g twice a day) or casein placebo for 3 months. Peripheral lymphocyte GSH was used as a marker of lung GSH. Values were compared with nutritional status and lung parameters. Results: At baseline there were no significant differences in age, height, weight, percent ideal body weight or percent body fat. Lymphocyte GSH was similar in the two groups. After supplementation, we observed a 46.6% increase from baseline (P < 0.05) in the lymphocyte GSH levels in the supplemented group. No other changes were observed. Conclusion: The results show that dietary supplementation with a whey-based product can increase glutathione levels in cystic fibrosis. This nutritional approach may be useful in maintaining optimal levels of GSH and counteract the deleterious effects of oxidative stress in the lung in cystic fibrosis. Studies in laboratory animals indicate inhibition of chemically-induced carcinoma by cystine-rich diets enhancing the cysteine-GSH antioxidant system. The progression of carcinoma of the prostate is also inhibited by these diets, which were later found to raise the level of GSH in the prostate epithelium of man. New data presented at the July 13, 2003 meeting of the American Association for Cancer Research indicates that higher levels of total cysteine in plasma may predict a reduced risk for breast cancer. This prospective investigation was conducted among 32,000 women in the Nurses Health study. The previously reported prostate cancer data appears then not to be strictly gender-related as the antioxidant role of the cysteine– GSH system may also apply to breast cancer prevention. Baumann JM, Runell KW, Evlans TM, Levine AM. Med.Sci.Sports Exerc.,Vol. 37, No. 9, pp1468-1473. 2005. Purpose: Reactive oxygen/nitrogen species (ROS/RNS) in resident airway cells may be important in bronchoconstriction following exercise. Glutathione (GSH) is a major lung antioxidant and could influence pathological outcomes in individuals with exercise-induced bronchoconstriction (EIB). This study examined the effects of supplementation with undenatured whey protein (UWP) in subjects exhibiting airway narrowing following eucapnic voluntary hyperventilation (EVH), a surrogate challenge for diagnosis of EIB. UWP is a cysteine donor that augments GSH production. Methods: In a randomized, double-blind, placebo-controlled study, 18 EIB-positive subjects (age: 25.2 +/- 9.01 yr; weight: 77.3 +/- 18.92 kg; height: 1.7 +/- 0.09 m) with post-EVH falls of > or =10% in FEV1 received 30 g UWP (TX) or casein placebo (PL)/d. Subjects performed 6‑min EVH challenges before and after 4 and 8 wk of supplementation. Exhaled nitric oxide (eNO) was measured serially before spirometry and at 1-wk intervals. Spirometry was performed pre- and 5, 10, and 15 min postchallenge. Results: Subjects exhibited significant mean improvement in postchallenge falls in FEV(1) from 0 wk (-22.6 +/- 12.22%) with TX at 4 (-18.9 +/- 12.89%, P < 0.05) and 8 wk (-16.98 +/- 11.61%, P < 0.05) and significant mean reduction in post-EVH peak falls in FEF(25-75) from 0 wk (-40.6 +/- 15.28%) with TX at 4 (-33.1 +/- 17.11%, P < 0.01) and 8 (-29.7 +/- 17.42%, P < 0.05) wk. No changes in FEV(1) or FEF(25-75) were observed in the PL group at any time point. Mean eNO for PL and TX groups at 0, 4, and 8 wk (46.8 +/- 31.33, 46.5 +/- 35.73, 49.3 +/- 37.12 vs 35.2 +/- 26.87, 29.1 +/- 17.26, 34.7 +/- 21.11 ppb, respectively) was not significantly different. Conclusions: UWP may augment pulmonary antioxidant capacity and be therapeutically beneficial in individuals exhibiting EIB, as postchallenge pulmonary function improved with supplementation. The lack of significant change in eNO suggests that the pulmonary function improvements from UWP supplementation are independent of eNO. 31. Oxidative stress and ageing: is ageing a cysteine deficiency syndrome? Phil. Trans. R. Soc. B. Vol. 360, pp 2355-2372. 2005. Reactive oxygen species (ROS) are constantly produced in biological tissues and play a role in various signaling pathways. Abnormally high ROS concentrations cause oxidative stress associated with tissue damage and dysregulation of physiological signals. There is growing evidence that oxidative stress increases with age. It has also been shown that the life span of worms, flies and mice can be significantly increased by mutations, which impede the insulin receptor signaling cascade. Molecular studies revealed that the insulin-independent basal activity of the insulin receptor is increased by ROS and downregulated by certain antioxidants. Complementary clinical studies confirmed that supplementation of the glutathione precursor cysteine decreases insulin responsiveness in the fasted state. In several clinical trials, cysteine supplementation improved skeletal muscle functions, decreased the body fat/lean body mass ratio, decreased plasma levels of the inflammatory cytokine tumour necrosis factor a (TNF-a), improved immune functions, and increased plasma albumin levels. As all these parameters degenerated with age, these findings suggest: (i) that loss of youth, health and quality of life may be partly explained by a deficit in cysteine and (ii) that the dietary consumption of cysteine is generally suboptimal and everybody is likely to have a cysteine deficiency sooner or later. Tozer R., Tai P., Falconer W., Ducruet T., Karabadjian A., Bounous G., Molson JH., Dröge W.
Antioxidants & Redox Signaling. Vol. 10, No. 2, 395-402, 2008. Oxidative stress plays a role in the tumor-cytotoxic effect of cancer chemotherapy and radiotherapy and also in certain adverse events. In view of these conflicting aspects, a double-blind trial over 6 months has been performed to determine whether a cysteine-rich protein (IMN1207) may have a positive or negative effect on the clinical outcome if compared with casein, a widely used protein supplement low in cysteine. Sixty-six patients with Stage IIIB-IV non-small cell lung cancer were randomly assigned to IMN1207 or casein. Included were patients with a previous involuntary weight loss of ≥3%, Karnofsky status ≥70, and an estimated survival of > 3 months. 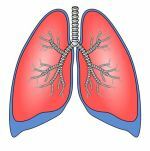 Thirty-five lung cancer patients remained on study at six weeks. Overall compliance was not different between treatment arms (42-44% or 13g/day). The patients treated with the cysteine-rich protein had a mean increase of 2.5% body weight while casein-treated patients lost 2.6% (P=0.049). Differences in secondary end points included an increase in survival, hand grip force and quality of life. Adverse events were mild or moderate. Further studies will have to show whether the positive clinical effects can be confirmed and related to specific parameters of oxidative stress in the host. Kern JK, Grannemann BD, Trivedi MH. Purpose: To examine the tolerability of non-denatured whey protein isolate (NWPI) in children with autism. Many children with autism are low in glutathione and have higher levels of oxidative stress. NWPI can raise glutathione levels and reduce oxidative stress. However, anecdotal reports suggest that NWPI may be problematic in children with autism because it contains cysteine and other sulfurated amino acids. Methods: A 6-week open-label trial was conducted, supplementing 10 children with autism or autism spectrum disorder (ASD), 3-15 years of age, with NWPI (Immunocal). To measure possible side effects, procedures that examined the frequency, intensity, and types of side effects, as well as behavioral measures, were completed at baseline, and at days 3, 14, 30 and 45. Results: Seven of the ten children took the supplement over the six-week trial and tolerated it well. Two children discontinued after two weeks due to possible side effects: one due to gastrointestinal disturbance and one due to being less responsive to parents. Another child discontinued due to difficulty of administering the product. Conclusions: This study suggests that NWPI can be used as a supplement for this small population of children with autism without high rates of side effects, which means that further studies to determine its safety and efficacy in larger populations might yield the same promising result. Larger studies are planned to determine its efficacy in raising glutathione levels. Children's Oncology Group (COG) Nutrition Committee was established to further the knowledge of nutrition in children with cancer by education and conduct of clinical trials. A survey of COG institutions revealed lack of conformity in evaluation and categorization of nutritional status, and criteria for nutritional intervention. The Committee subsequently established specific categories of malnutrition (Underweight and Overweight) based on ideal body weight or body mass index. An algorithm was developed as a guideline for nutritional intervention as well as references and resources for determining estimated needs. The Committee embarked on concepts for clinical trials of nutritional interventions. The first pilot study, evaluating the feasibility of using an immunoneutraceutical precursor for glutathione production, has been completed. The study showed weight gain and improvement in glutathione status. A pilot trial of proactive enteral feeding for patients at high risk of malnutrition has commenced. The Committee believes that nutrition is relevant to all aspects of cancer control. The paucity of nutritional investigation in children with cancer needs to be rectified. Background and Aims: Glutathione (GSH) depletion contributes to liver injury and development of steatohepatitis. Undenatured cysteine-rich whey protein isolate has been clinically proven to raise GSH in several patient groups. The aim of this study was to evaluate the effect of oral supplementation with whey protein on patients with nonalcoholic steatohepatitis (NASH). Methods: In an open-labeled clinical trial, 38 patients (18 male, 20 female; mean age 48 ± 14 years) with NASH confirmed by computed tomography measurements and liver biochemistries were given with a daily dose of 20g whey protein isolate for 12 weeks. Results: A significant reduction in alanine aminotransferase (ALT) (64 ± 72 vs 46 ± 36, P=0.016) and aspartate aminotransferase (AST) (45 ± 49 vs 33 ± 18, P=0.047) were observed. Plasma glutathione and total antioxidant capacity increased significantly at the end of study (53 ± 11 vs 68 ± 11, P< 0.05 and 1.26 ± 0.10 vs 2.03 ± 0.10, P< 0.05). Liver attenuation index improved from -13.4 ± 11.1 to -9.7 ± 13.1 (P = 0.048). Hepatic macrovesicular steatosis decreased significantly after 12 weeks of supplementation (33.82 ± 12.82 vs 30.66 ± 15.96, P=0.046). Whey protein isolate was well tolerated. No serious adverse events were observed. Conclusions: The results indicate that oral supplementation of cysteine-rich whey protein isolate leads to improvements in liver biochemistries, increased plasma GSH, total antioxidant capacity and reduced hepatic macrovesicular steatosis in NASH patients. The results support the role of oxidative stress in the pathogenesis of this disease. 36. Whey Protein Concentrate Promotes the Production of Glutathione (GSH) by GSH Reductase in the PC12 Cell Line After Acute Ethanol Exposure. Tseng YM, Lin SK, Hsiao JK, Chen IJ, Lee JH, Wu SH, Tsai LY. Department of Pathology and Laboratory Medicine, Kaohsiung Veterans General Hospital, Kaohsiung 81346, Taiwan; Institute of Medicine, Kaohsiung Medical University, Kaohsiung 80702, Taiwan. Excessive ethanol consumption may increase the production of reactive oxygen species (ROS), which results in the damage of tissues, especially the neurons and glial cells in the central nervous system (CNS). The purpose of this study is to evaluate the effects of whey protein concentrate (WPC) on the glutathione (GSH) status after acute ethanol exposure in the pheochromocytoma (PC12) cell line. In this study, we assayed the cell viability, the percentage of lactate dehydrogenase released (% LDH released), the level of GSH, and the activity of GSH reductase (GRx). The results showed that with the supplement of WPC, the cell viability displayed no significant difference after acute exposure of ethanol in groups with or without ethanol treatment. The ethanol-induced cytotoxicity showed a slight decrease, and the level of GSH showed a significant increase. The activity of GRx significantly increased when 0.1, 10mg/ml of WPC was supplied. In conclusion, these results suggest that WPC in a moderate concentration should be a precursor agent to promote the production of GSH and will enhance the antioxidant capacity in the PC12 cell line. 37. Effects of Alcohol-Induced Human Peripheral Blood Mononuclear Cell (PBMC) Pretreated Whey Protein Concentrate (WPC) on Oxidative Damage. Tseng YM, Chen SY, Chen CH, Jin YR, Tsai SM, Chen IJ, Lee JH, Chiu CC, Tsai LY. Institute of Medicine, College of Medicine, Kaohsiung Medical University, Kaohsiung, Taiwan. Excessive alcohol consumption can induce apoptosis in a variety of tissues and influence the antioxidant status in peripheral blood mononuclear cells (PBMC). This paper investigates the effects of whey protein concentrate (WPC) pretreated in PBMC on the apoptosis and antioxidant status after the treatment of alcohol. The results show that the percentages of apoptotic cells in the alcohol-treated group were higher than those in the group without alcohol treatment. Additionally, there was higher glutathione (GSH) peroxidase (GPx) activity when the PBMC were treated with 300 mg/dL of alcohol. With regards to the activity of GSH reductase (GRx), there was higher activity in the group pretreated with WPC than in the group with the treatment of alcohol only. On the contrary, the levels of GSH were reduced after the treatment of alcohol, but there was a higher level of GSH in the group pretreated with WPC. In this study, it was found that the increased level of GSH in PBMC might not be attributed to the effect of GRx because there was still a higher level of GSH in the group with the treatment of WPC and BCNU (a GRx inhibitor) in this study. The results indicated that PBMC pretreated with WPC might ameliorate alcohol-induced effects such as imbalance of the antioxidant status. 38. Effects of Whey Protein Concentrate (WPC) on the Distributions of Lymphocyte Subpopulations in Rats with Excessive Alcohol Intake. Tseng YM, Tsai SM, Lin WS, Huang ZR, Lin CC, Yeh WH, Wu YR, Tsai LY. Department of Pathology and Laboratory Medicine, Kaohsiung Veterans General Hospital, Number 386, Ta-chung 1st road, Kaohsiung 81346 Taiwan. To investigate the effects of whey protein concentrate (WPC) on antioxidant statuses and the lymphocyte subpopulations in the rats with alcohol intake, the antioxidant statuses in the peripheral blood (PB) and the lymphocyte subpopulations in the PB, spleen, and bone marrow (BM) of the rats fed with WPC (0.334 g/kg) and alcohol (6 g/kg) for 3 months were analyzed. Results showed that the effects of WPC on the glutathione peroxidase and glutathione in the PB, the T and B cells in the spleen, and the B cells in the BM were more apparent in the rats with alcohol intake; however, they are not apparent in the controls. Taken together, our results indicated that the immunity of rats might be enhanced by the increased antioxidant ability after WPC supplementation and the effects of WPC on the lymphocyte subpopulations were mainly in the spleen and BM and not in the PB. 39. Immunocal and preservation of glutathione as a novel neuroprotective strategy for degenerative disorders of the nervous system. Ross EK, Gray JJ, Winter AN, Linseman DA.Department of Biological Sciences, University of Denver, 2199 S. University Blvd., Denver, CO 80208, USA. Recent Pat CNS Drug Discov. 2012 Dec;7(3):230-5. Oxidative stress and glutathione (GSH) depletion are both recognized as significant contributors to the pathogenesis of many devastating neurodegenerative diseases. In particular, mitochondrial dysfunction leads to the aberrant production and accumulation of reactive oxygen species (ROS), which are capable of oxidizing key cellular proteins, lipids, and DNA, ultimately triggering cell death. In addition to other roles that it plays in the cell, GSH functions as a critical scavenger of these ROS. Therefore, GSH depletion exacerbates cell damage due to free radical generation. Strategies that increase or preserve the levels of intracellular GSH have been shown to act in a neuroprotective manner, suggesting that augmentation of the available GSH pool may be a promising therapeutic target for neurodegeneration. This review discusses the capacity of a cystine-rich, whey protein supplement (Immunocal®) to enhance the de novo synthesis of GSH in neurons, and highlights its potential as a novel therapeutic approach to mitigate the oxidative damage that underlies the pathogenesis of various neurodegenerative diseases. Additionally, this review discusses various patents from 1993 to 2012 both with Immunocal® and other methods that modulate GSH in neurodegeneration. 40. Psoriasis improvement in patients using glutathione-enhancing, nondenatured whey protein isolate. A pilot study. Prussick R., Prussick L., Gutman J.
J CLIN AESTHET DETERMATOL, 2013;6(10):23-26). Background: Psoriasis is a common autoimmune disease with enhanced systemic inflammation and heightened levels of oxidative stress. Glutathione is the major antioxidant in human cells. Objectives: To determine if a nondenatured bioactive whey protein isolate previously demonstrated to increase glutathione levels can clinically improve patients with psoriasis vulgaris. Methods: A single site prospective, non-blinded trial. Seven patients with psoriasis were recruited to take a nondenatured bioactive whey protein isolate, 20g orally per day, in addition to their current treatments, if any. Psoriasis Area and Severity Index scores and photographs were taken at baseline and monthly for three months. Results: Patients with psoriasis were found to have a beneficial clinical improvement, whether they were on existing topical therapy, narrowband ultraviolet B, or no other treatment. improvement for patients with psoriasis. 41. Prehabilitation versus Rehabilitation: A Randomized Control Trial in Patients Undergoing Colorectal Resection for Cancer. Gillis C, Li C, Lee L, et al. Anesthesiology. 2014 Jul 29: 1-12. Background: The preoperative period (prehabilitation) may represent a more appropriate time than the postoperative period to implement an intervention. The impact of prehabilitation on recovery of functional exercise capacity was thus studied in patients undergoing colorectal resection for cancer. Methods: A parallel-arm single-blind superiority randomized controlled trial was conducted. Seventy-seven patients were randomized to receive either prehabilitation (n = 38) or rehabilitation (n = 39). Both groups received a home-based intervention of moderate aerobic and resistance exercises, nutritional counseling with protein supplementation, and relaxation exercises initiated either 4 weeks before surgery (prehabilitation) or immediately after surgery (rehabilitation), and continued for 8 weeks after surgery. Patients were managed with an enhanced recovery pathway. Primary outcome was functional exercise capacity measured using the validated 6-min walk test. Results: Median duration of prehabilitation was 24.5 days. While awaiting surgery, functional walking capacity increased (20 m) in a higher proportion of the prehabilitation group compared with the rehabilitation group (53 vs. 15%, adjusted P = 0.006). Complication rates and duration of hospital stay were similar. The difference between baseline and 8-week 6-min walking test was significantly higher in the prehabilitation compared with the rehabilitation group (+23.7 m [SD, 54.8] vs. -21.8 m [SD, 80.7]; mean difference 45.4 m [95% CI, 13.9 to 77.0]). A higher proportion of the prehabilitation group were also recovered to or above baseline exercise capacity at 8 weeks compared with the rehabilitation group (84 vs. 62%, adjusted P = 0.049). Conclusion: Meaningful changes in postoperative functional exercise capacity can be achieved with a prehabilitation program. Karelis AD, Messier V, Suppère C et al. J Nutr Health Aging. 2015 May;19(5):531-6. This double-blind randomized controlled study recruited 99 sedentary non-frail elderly subjects aged between 65 and 88 years old, of which 76 were female and 23 male. Participants were randomly assigned into two groups. The experimental group consumed daily (20g) of a cysteine-rich whey protein isolate (Immunocal®) compared to daily (20g) casein-the control protein - over a period of 135 days (4.5 months). In addition, all subjects performed the same resistance training program 3 times per week over the 135 day period. Eighty-four (84) subjects completed the 135 day study period. Of these, 67 subjects (34 in the Immunocal® group and 33 in the control group) complied and used at least 80% of the study product and completed at least 80% of their training sessions. The key findings of the study showed increases in muscle strength in both groups after resistance training, however, significant additional increases were observed in muscle strength with addition of a cysteine rich whey protein (Immunocal®) versus casein by approximately 10% when expressed in kg per kg body weight (BW) and in kg per kg lean body mass (LBM) (p <0.05), hence the potential impact to perform daily tasks.